The most important prophet, so far as we are concerned, is the one who is living in our day and age. This is the prophet who has today’s instructions from God to us today. God’s revelation to Adam did not instruct Noah how to build the ark. Every generation has need of the ancient scripture plus the current scripture from the living prophet. Therefore, the most crucial reading and pondering which you should do is of the latest inspired words from the Lord’s mouthpiece” 1)in Conference Report, Korea Area Conference 1975, 52. There is power in praying with all our hearts. There is also power in praying for others, which means some of the most powerful prayers are those where we are praying for others with all our hearts. Such was the case with Lehi, and the answer he received was spectacular. Petitioning Heavenly Father for the blessings we desire in our personal lives is good and proper. However, praying earnestly for others, both those whom we love and those who despitefully use us, is also an important element of meaningful prayer. Just as expressing gratitude more often in our prayers enlarges the conduit for revelation, so praying for others with all of the energy of our souls increases our capacity to hear and to heed the voice of the Lord. We learn a vital lesson from the example of Lehi in the Book of Mormon. Lehi responded in faith to prophetic instruction and warnings concerning the destruction of Jerusalem. 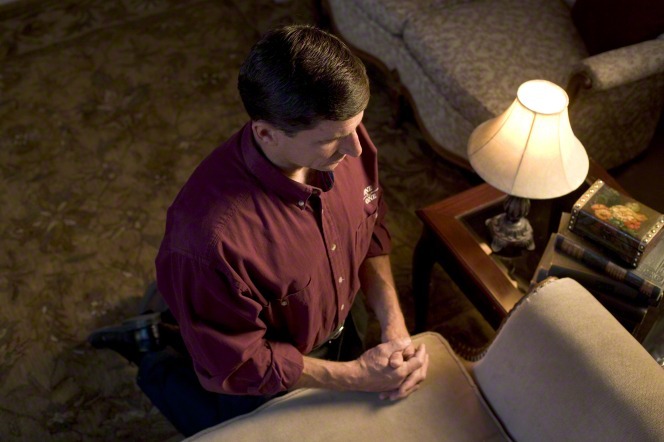 He then prayed unto the Lord “with all his heart, in behalf of his people” (1 Nephi 1:5; emphasis added). In answer to this fervent prayer, Lehi was blessed with a glorious vision of God and His Son and of the impending destruction of Jerusalem (see 1 Nephi 1:6–9, 13, 18). Consequently, Lehi rejoiced, and his whole heart was filled because of the things which the Lord had shown him (see 1 Nephi 1:15). Please note that the vision came in response to a prayer for others and not as a result of a request for personal edification or guidance. 1. ↑ in Conference Report, Korea Area Conference 1975, 52.